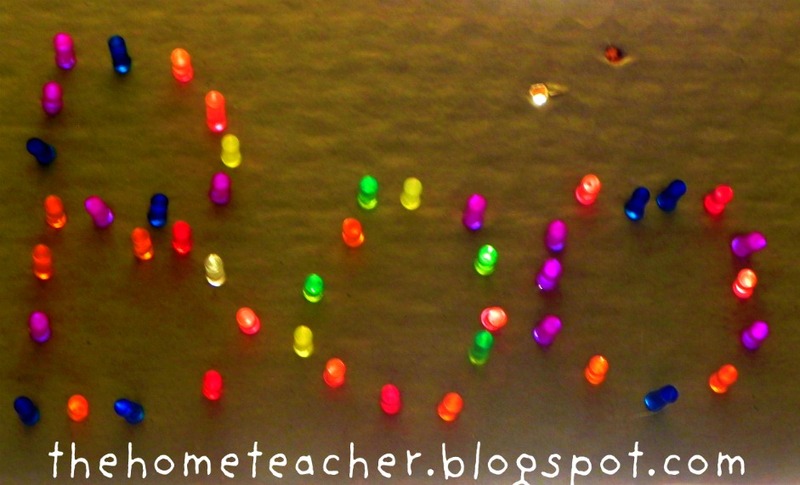 Ever since I made a light box (read more about it here) I knew I wanted to do something with all the lite brite pegs we have all over the playroom floor. I have been thinking HARD about how exactly to pull it off when inspiration hit me. OK, more like a piece of cardboard…. 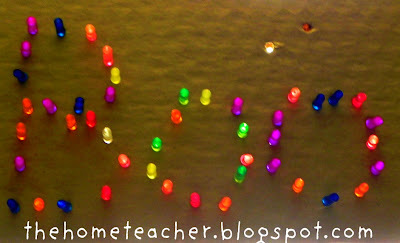 Once I realized it was the perfect material for us to use, I set to work playing with lite brites. I made some mistakes (ginormous holes) as you will see in the pictures below… but I was just experimenting to find the best way to make a lite brite board! Mark one side of the cardboard with a “B”. 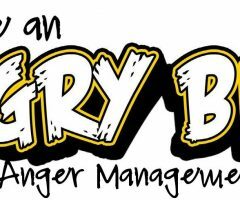 This will be the back. It is important to remember which side is the back, since the holes made in the front are different. Take a lite brite peg. 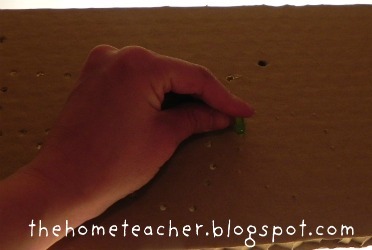 On the backside push the peg all the way through the cardboard until it makes a little hole on the other side. For us, we just had to push it until the peg was flush with the cardboard but the thickness of your cardboard may be different. 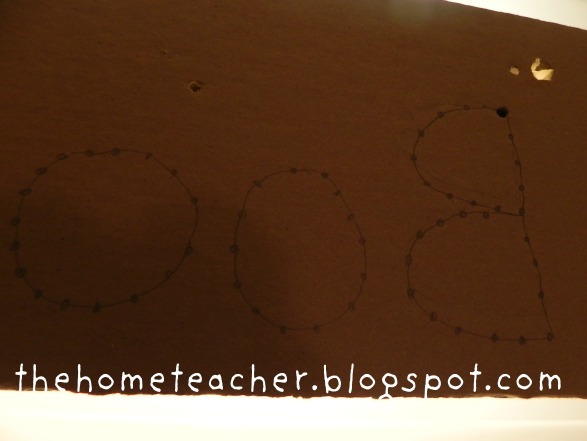 Once you have made several holes, turn the cardboard over to the front side. 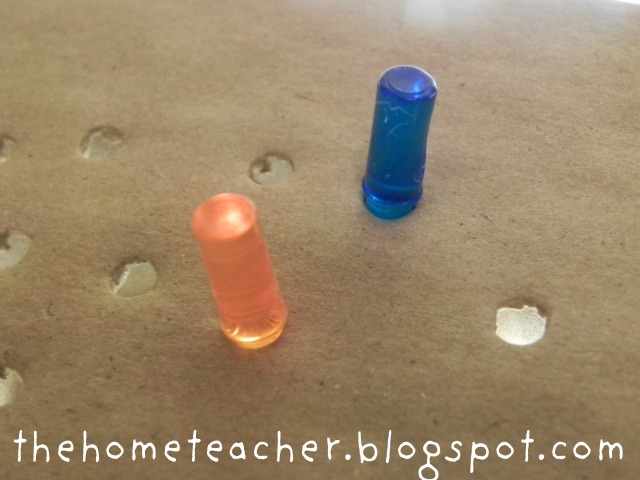 Find the small holes and push in just the tip of the peg, so the top part is sticking out (just like in a real Lite Brite). 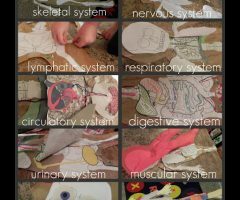 Once I made a few random holes and saw how cool it was, I set to work making this semi-educational for my daughter. I wrote her nickname mirrored on the back and marked spots where I wanted to put the pegs. Back of Lite Brite board getting ready to add Lite Brites. Turn the board over to see the word “Boo” marked by tiny holes (not big enough for a Lite Brite peg yet). Insert just the tips of the pegs into the tiny holes. Pretty soon you will see something like this… your very own Lite Brite creation. 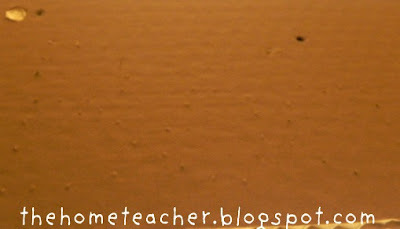 Boo will have a great time writing her name with these colorful pegs! 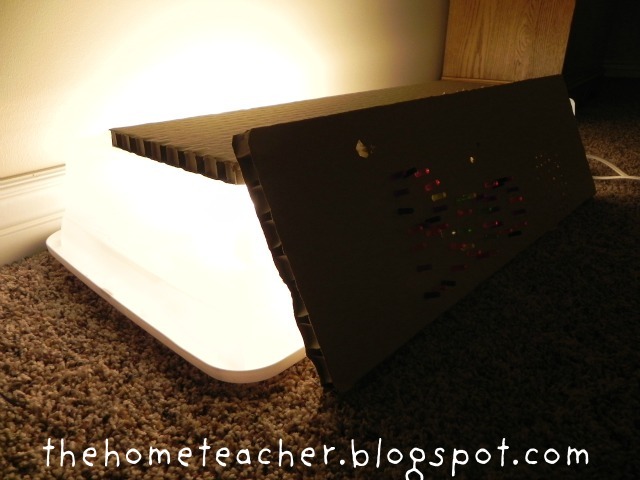 While I initially just played with it on top of the light box, you could also lay it against the side of the box. I also added another piece of cardboard on top to dampen the light in the room a bit. One of the coolest thing about having a Lite Brite board (as opposed to the actual manufactured toy) is that you can turn it around and see the back. It was more cool than the front! The picture just doesn’t do it justice…. it was like little pits of color. 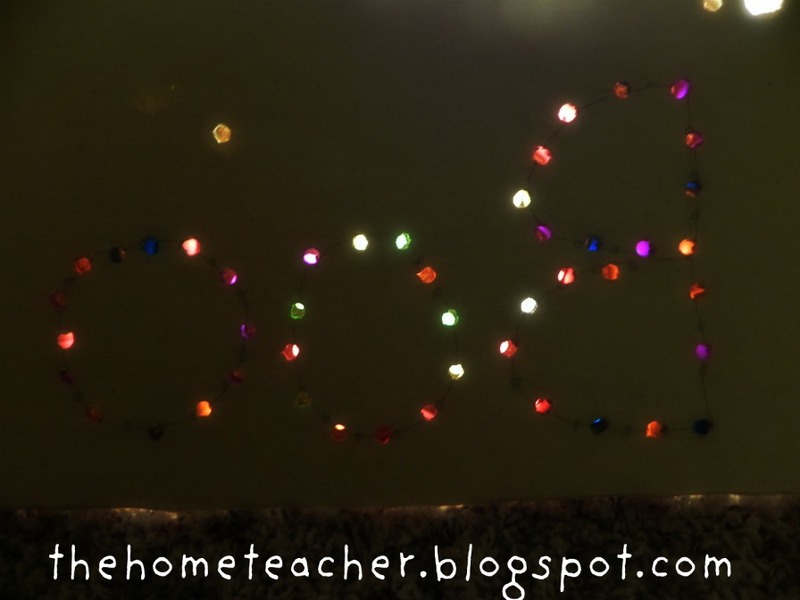 Can you imagine the fun Christmas displays you can make with these in your window? Here is a pic of just the holes- without the pegs its still pretty neat! Our light box has been so much fun- there are so many different ways of playing with light. 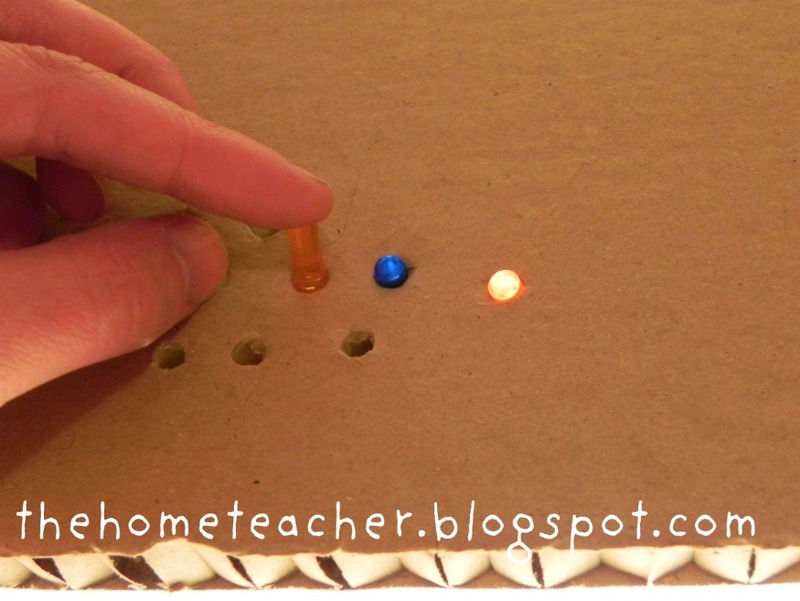 So if you happen to have lots of Lite Brite pegs laying around- consider making a board and using them on your light box! 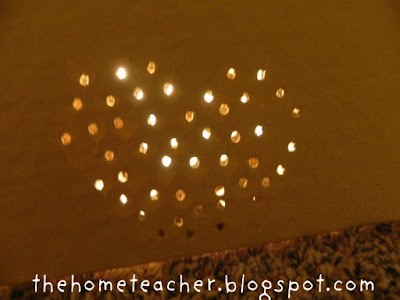 This entry was posted in art & music, DIY, kid crafts and tagged light, not a box, upcycle on March 11, 2012 by ktoponce. What an inventive idea. I used to love playing with a light bright!